One of the greatest political advisers of all time, Niccolo Machiavelli thought long and hard about how citizens could identify great leaders--ones capable of defending and enhancing the liberty, honor, and prosperity of their countries. 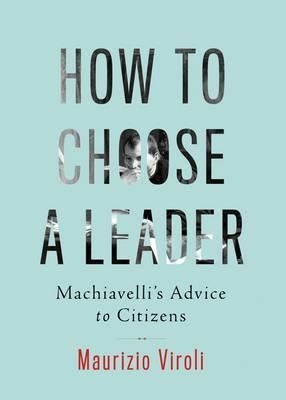 Drawing on the full range of the Florentine's writings, acclaimed Machiavelli biographer Maurizio Viroli gathers and interprets Machiavelli's timeless wisdom about choosing leaders. The brief and engaging result is a new kind of Prince--one addressed to citizens rather than rulers and designed to make you a better voter. Demolishing popular misconceptions that Machiavelli is a cynical realist, the book shows that he believes republics can't survive, let alone thrive, without leaders who are virtuous as well as effective. Among much other valuable advice, Machiavelli says that voters should pick leaders who put the common good above narrower interests and who make fighting corruption a priority, and he explains why the best way to recognize true leaders is to carefully examine their past actions and words.